URGENT!!! NITSAN TEMPLE IN NEW JERSEY NEEDS YOUR HELP TODAY!!! PLEASE SIGN PETITION TO KEEP LHARAMPA GESHE SAMDUP IN U.S.
Nitsan Temple is initiating a PETITION requesting that Congress pass a special humanitarian bill that would direct the U.S. 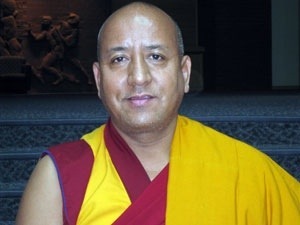 Citizenship and Immigration Services (USCIS) to REOPEN the PERMANENT RESIDENCY APPLICATION for Lharampa Geshe SAMDUP on the grounds of his unique ability to serve the religious and spiritual needs of the congregation of our wider Buddhist community. Given the large Kalmyk, Mongolian, Buryat, Tuvan, Tibetan, other Himalayan communities and other Buddhist supporters, we believe we can get to this goal together if you ACT TODAY. He wishes to participate in His Holiness the Dalai Lama’s teachings in Ladakh (his birthplace) in June. If he leaves the U.S. without a normalized immigration status, he will be forbidden to return for 10 YEARS. 2. Print and distribute copies to your congregations, organizations, family members and friends. 2. Reproduce the blank signature pages as you need. 3. Get signatures and mail to NITSAN by JANUARY 1, 2014. * Provide a contact information in case verification is needed. * The Nitsan Temple address at bottom of petition form. * Please mail ASAP as signature pages fill up or when done collecting even if not full page. * Make a copy of signature sheets if you have lots of signatures in case they are lost in the mail. Samdup Lama is of the highest character and has served the wider Buddhist community and the congregation of Nitsan Buddhist Temple with dedication, compassion and wisdom. His immigration status is not of his doing, but is the result of an administrative oversight by the Nitsan Buddhist Temple’s volunteer staff. By Kalmyk Brotherhood Society in News on November 15, 2013 .